Do your lips keep you from being happy with your appearance? Daniel Man, M.D., a Florida board-certified plastic surgeon, can help you change the fullness or outline of your lips to provide a more aesthetically pleasing appearance, giving you a smile you’ll love. 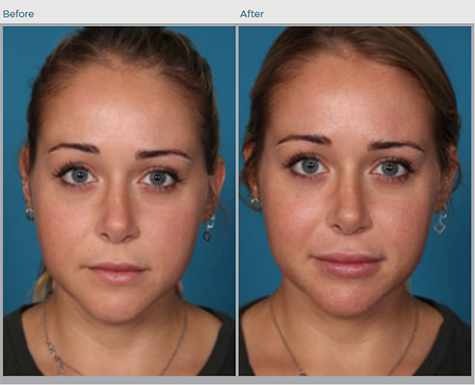 Dr. Man offers lip augmentation to residents in Boca Raton, FL, and the surrounding communities. Lip enhancement also called lip augmentation or a lip lift includes a variety of processes designed to make your lips look younger, fuller, and less wrinkled or thin. Many patients combine a lip lift with other facial work, to ensure all parts of the face regain their youthful appearance. There are two main ways to augment the lips to get the fuller lips: fillers and implants. 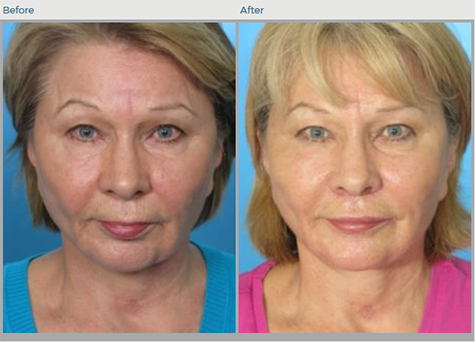 The desired look and amount of maintenance are the two main factors that determine the type of augmentation to be used. Lip augmentation can be achieved in several ways depending on the patient’s goals. Fillers are one of the fastest and least invasive ways to create plump, attractive lips. In the past, collagen injections were the favored way to get the “bee stung” appearance, but today’s hyaluronic dermal fillers are favored over collagen, as they allow more control and have less risk of complications. Hyaluronic acid is naturally occurring in the body. Hyaluronic fillers can improve the appearance of your lips by adding shape, structure, and volume, and the effects generally last six months or more. The fillers used may contain lidocaine, or a topical anesthetic may be used prior to the injections. Dr. Man also offers his patients the PermaLip™ facial implant by SurgiSil™. This implant is made of soft shaped silicone that looks and feels natural, providing a more lip augmentation. These silicone lip implants come in different sizes and shapes for a customized appearance and are smooth and non-porous in surface texture. If you have thin, narrow lips, want a “cupid’s bow” in the center of your upper lip, or find that your lips noticeably turn down, lip augmentation may be right for you. Additionally, you may be a good candidate for lip enhancement if you want fuller lips or have vertical lines that tend to accentuate lipstick bleeding. How Involved is Lip Augmentation? For injectable fillers, the procedure is very quick and virtually painless. Fillers containing hyaluronic acid are injected into the targeted area of the lips and massaged to even out the appearance of the lips. The treatment takes 30-60 minutes and shows visible results immediately. As for lip implants, PermaLip™ lip enhancement is relatively simple to perform and takes between 30 and 60 minutes as well. The mouth and lips are locally anesthetized, and a small incision is made in each corner of the mouth. The PermaLip™ implant is then passed through a tunnel in the lip and positioned in the center. The process is then repeated for the other lip, and the incisions are closed using absorbable sutures. How is the Recovery from Lip Augmentation? There is no definitive recovery or downtime with injectable fillers. Individuals typically return to their normal activities immediately following their appointment. To maintain the appearance of the lips, most fillers last between six and 12 months and require touch-up appointments. With lip implants, the healing period is usually quick with little or no pain after the first few days in surgical cases. There may be a little tightness or some swelling around the mouth, which diminishes quickly. If there are stitches, they are removed after a week or two. PermaLip™ implants require very little maintenance, although they are removable should a patient decide they no longer want them. The cost of lip augmentation varies depending on the type of treatment performed and the extent of the treatment. During a consultation, Dr. Man discusses the cost, as well as payment options and financing available. If you are interested in lip augmentation, we recommend you schedule a consultation with Dr. Man to evaluate your lips, review your medical history and make a recommendation as to whether lip augmentation, as well as which type of augmentation, is the best option for you. Daniel Man, M.D., a Florida board-certified plastic surgeon, performs lip augmentation on people living in and around Boca Raton, FL, to give them fuller lips and a more youthful and glowing smile. Please contact us to set up your consultation today.